Please note: Fistula Foundation is not currently funding active work in Mauritania. Why Do We Work in Mauritania? A coup led by General Aziz in 2008 overthrew Mauritania’s first democratically elected president, and established military rule over the country that continues today. The tense political climate, coupled with major human rights issues like human trafficking and modern-day slavery, make maternal health low on the list of priorities of the Mauritanian government. This is reflected in the country’s high maternal mortality rate – 630 women die for every 100,000 live births. Poverty and the low status of women in society are also contributing factors. 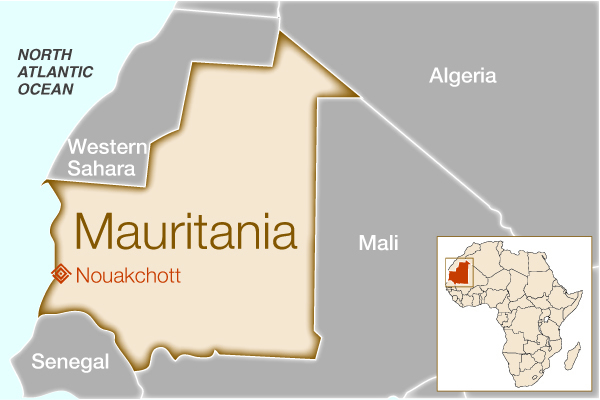 Women’s health in Mauritania is uniquely affected by the standards of beauty in the culture, where obese women are considered extremely beautiful and more desirable than thin women. In the social practice of leblouh, girls are force-fed to make them more marriageable, often being betrothed or married off at a young age. Unmarried girls in their late teens face a social stigma, leading to high rates of child marriage and teenage pregnancy — both of which are risk factors for obstetric fistula. Although this is slowly changing, the combined risk factors for fistula and lack of surgical repair capacity in the country have resulted in a tremendous need for fistula treatment. We provided grant support to these hospitals through Operation Fistula. How did this help women in Mauritania? While there were already some centers offering fistula repair surgery in Mauritania, women are too often unable to access treatment because of non-negotiable surgical fees. To eliminate this barrier to treatment, Fistula Foundation funded small grants to two surgeons in Nouakchott (Mauritania’s capital city) to enable them to provide fistula repair surgeries free of charge.